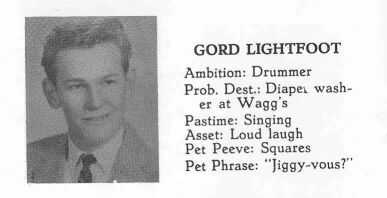 - Born November 17 in Orillia, Ontario, Canada to Gordon Sr. and Jessica Lightfoot. - At age five, he makes his performing debut, singing I'm A Little Teapot at St. Paul's United Church Sunday School in Orillia. - Lightfoot cuts his first record, Irish Lullaby on a machine in the prinipal's office at school, accompanied by Mrs. Murphy on piano. The school principal plays the record over the school's PA on parent's day. - Lightfoot begins piano lessons and voice study under Ray Williams in Orillia. - The ten year old Lightfoot wins second place in an amateur show at the Orillia Opera House, sponsored by a local radio station. He sang "Bless This House". - Lightfoot makes a 78 rpm record of "The Lord's Prayer." - Wins first place in his under 13 vocal class at the Toronto Kiwanis Festival, singing Alpine Song and Under The Greenwood Tree. He finished third in the unchanged voices class. - Lightfoot's first barbershop quartette the Collegiate Four is getting booked in places like Midland, Toronto and Sarnia. - He makes his network radio debut on the Dominion Barn Dance with his foursome. - Collegiate Four enters and wins first place on CBC's Pick The Stars in Toronto. - Forms a group called the Teen Timers, his first meeting with Terry Whelan. - Lightfoot writes his first song. It's a topical song titled, The Hula Hoop Song. He presents it to a publisher in Toronto and while it wasn't accepted, he received encouragement and the rest, as they say, is history! - Lightfoot is enlisted to sing and play drums in the Charie Andrews Orchestra a local dance band. 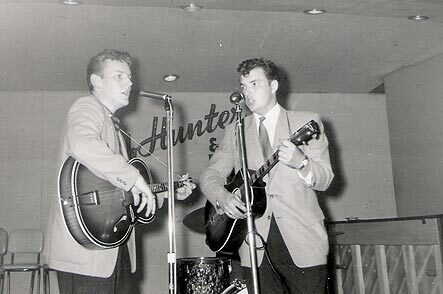 - Lightfoot and Terry Whalen change the Teen Timers from a foursome to a duo and rename the group the Two Timers. - Attends the now defunct Westlake College of Music in Los Angeles. The knowledge he gained would prove very valuable to him in his songwriting endeavors for the remainder of his career. - At Westlake Lightfoot sings in a vocal group called the Four Winds doing jazz numbers. 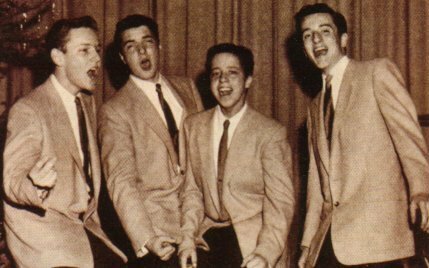 - The Four Winds sing on a local Los Angeles TV show hosted by Bobby Troup of (Get Your Kicks On) Route 66 fame. 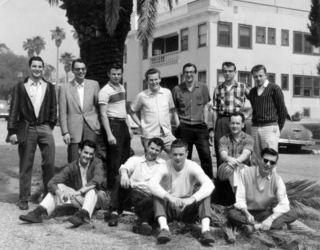 - In the fall of 1958, home from Westlake, Lightfoot moves to Toronto. - Working in a bank by day, Lightfoot and Whelan as the Two Timers find gigs at places like Bloor Street's Collegiate Club.